Suzen L. Heeley is the Executive Director, Design+Construction at Memorial Sloan Kettering Cancer Center [ MSK ] in New York City. She is responsible for design of an ongoing $2 billion capital program, comprised of new construction and renovation projects in over 30 locations throughout the New York tri-state area. Her past work in architectural/design consulting and as an Owner’s representative, includes innovative healthcare, environmental, interior and exhibit design for Fortune 500 corporations and healthcare organizations. She has been honored with achievements from The Center for Health Design, Modern Healthcare, Pioneering Women, Contract Healthcare Environment Awards and Interior Design Magazine’s Best of Year in Healthcare. 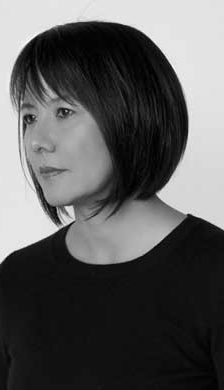 An activist for forward-thinking, patient-centered healthcare design innovation, she has served on The Center for Health Design Environmental Standards Council, lectures nationally to advocate for healthcare design and is a member of the Editorial Advisory Boards for Healthcare Design and Contract Magazine. As a U.S. Green Building Council LEED Accredited Professional, Suzen is an active participant in the Healthier Hospitals Initiative’s Market Transformation Group, Healthy Building Network and MSK Green Team, promoting sustainable, environmentally responsible design that responds to the connection between health and the built environment. MSK has been named by Practice Greenhealth as one of the Top 25 sustainable hospitals in the nation.